In the 90s these two brunette beauties were on top of their game. Moore had a string of movie hits on her resume including A Few Good Men and GI Jane. Cox was a TV star on the popular show Friends. Today they are both in their 50s, look great for their age and could be sisters. Both are divorced. Cox is divorced from David Arquette with one child and Moore split from both Bruce Willis and Ashton Kutcher and has three children with Willis. Armie Hammer came to fame in the hit movie The Social Network playing twin brothers. 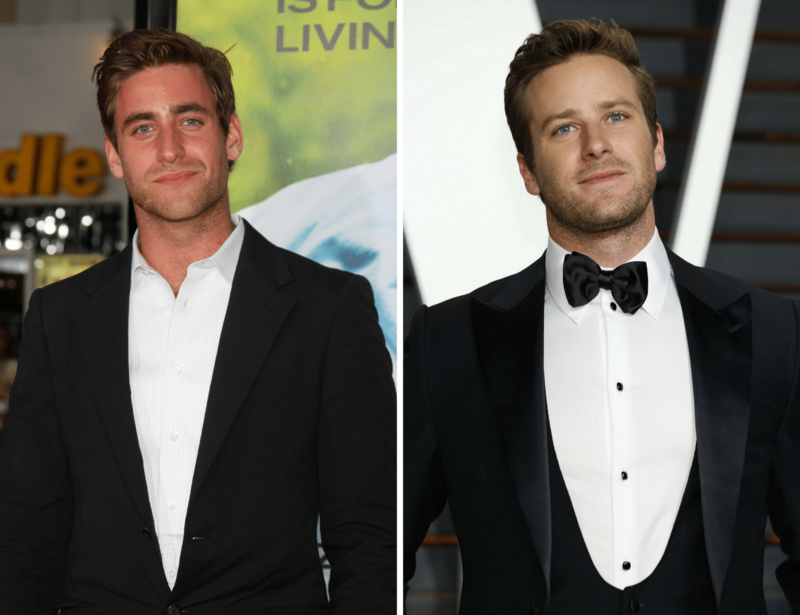 Well, it’s too bad the director didn’t cast English actor Oliver Jackson-Cohen to be his twin! They are both well over 6 feet tall, 32 years old and are so good looking they melt hearts wherever they go. Jackson-Cohen has found his niche on TV playing in a wide range of shows. Hammer is married to actress Elizabeth Chambers and they have two children.